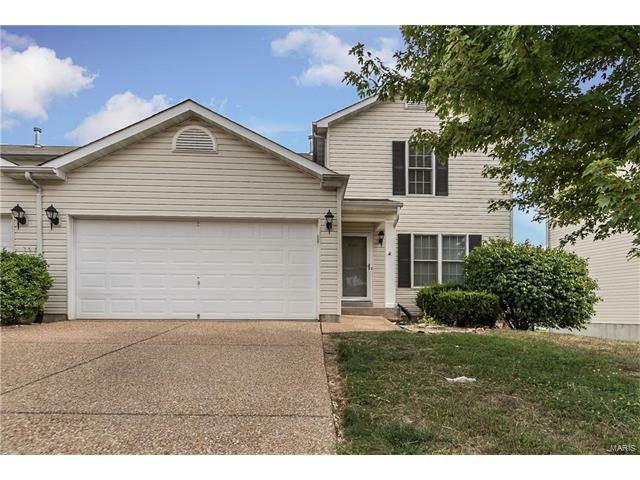 Beautiful Wentzville townhome ideally situated in desirable neighborhood! 2 community pools, lazy river and splash pad! Several walking & biking trails nearby also. Great open floor plan on main level featuring a spacious living & dining room combo. NEW carpet throughout! Spotless & eat-in kitchen includes all appliances! Main floor laundry (washer & dryer included)! Walk-out from the kitchen eat-in area to your back deck & enjoy a relaxing evening or BBQ. Upper level master suite offers 2 walk-in closets. Walk-in closets found in the other 2 bedrooms as well! Lots of potential in the unfinished walk-out basement or can be used as additional rec area. New furnace November 2016! View today!